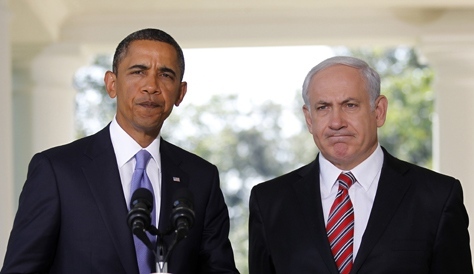 OBAMA OR NETANYAHU ~~ WHICH ONE WOULD YOU BELIEVE? It is not clear, however, whether Obama could have made the offer via means other than a letter. Possibly E Mail? Anyone think of that? A researcher with ties to Dennis Ross published an article on Wednesday saying that Obama sent a letter to Netanyahu offering U.S. guarantees in exchange for a two month settlement freeze extension. The White House denied on Thursday that U.S. President Barack Obama sent a letter to Prime Minister Benjamin Netanyahu proposing a set of U.S. guarantees to Israel in exchange for Israel extending a freeze on settlement construction in the West Bank for another two months. “No letter was sent to the Prime Minister. We are not going to comment on sensitive diplomatic matters,” said Benjamin Chang, the deputy spokesman for the White House National Security Council. Earlier on Thursday, Palestinian negotiator Nabil Shaath said that U.S. special envoy to the Middle East George Mitchell denied that Obama made such an offer to Netanyahu. In an interview on Nazareth’s A-Shams radio station, Shaath said that Mitchell made the denial during a meeting on Thursday with Palestinian Authority President Mahmoud Abbas in Ramallah. Shaath added that the Palestinians would not return to the negotiating table unless Israel extends a freeze on settlement construction in the West Bank and that the Arab League would support that position at its meeting next week. An article published on Wednesday on the website for the Washington Institute for Near East Policy by David Makovsky, a researcher with ties to Dennis Ross, Barack Obama’s chief advisor on the Middle East, reported that Obama had written a letter Netanyahu in which Obama offered to support the presence of Israel Defense Forces soldiers in the Jordan Valley even after the establishment of a Palestinian state, if Israel would agree to a two month settlement building freeze. Netanyahu was reportedly inclined to reject the offer. Obama’s letter was said to include a long list of American favors in exchange for an extension of the settlement building freeze, which ended this week. Most of these favors are critical to Israel’s strategic security needs that Netanyahu has been demanding for years. Other commitments that Obama reportedly offered Netanyahu in the letter include an agreement not to ask for any more building freeze extensions, an agreement to veto any anti-Israel UN Security Council resolution in the next year, and an agreement that the future fate of the settlements be dealt with only as part of a final status agreement with the Palestinians. Obama’s letter was said to include additional commitments, including a series of guarantees to prevent the smuggling of weapons and missiles into a Palestinian state, a lengthy period of interim security arrangements in the Jordan Valley and a comprehensive regional defense pact for protection from Iran to follow the establishment of the Palestinian state. The American President also reportedly vowed to upgrade Israel’s security capabilities and increase the three billion dollar security aid package that Israel receives annually. The letter included commitments to advanced weapons and early warning systems, including satellites. But perhaps we should take a look at Lieberman again in light of his much-condemned United Nations General Assembly speech yesterday and instead feel glad that the true face of Israel is shining to the world because of his position of power. PHOTO: Israeli Ministry of Foreign Affairs website. Israeli Foreign Minister Avigdor Lieberman addresses the General Assembly at the United Nations in New York. 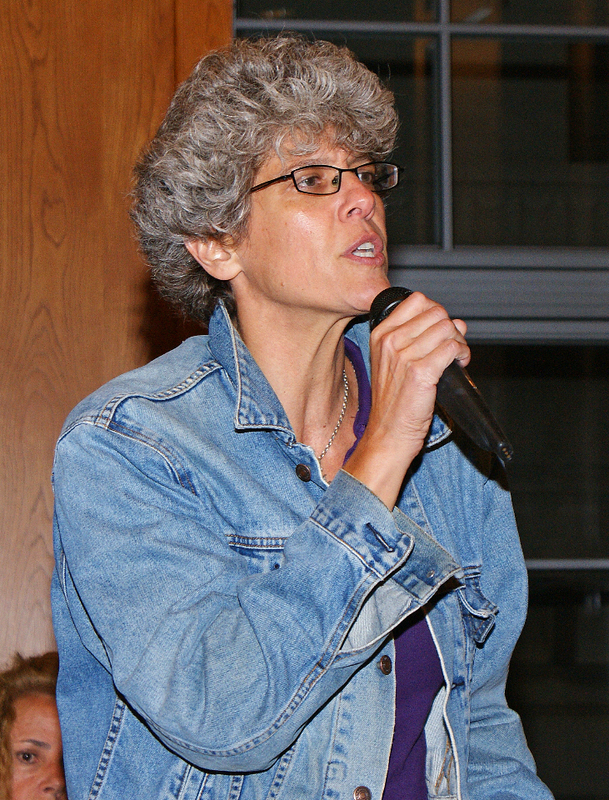 Yisrael Beiteinu’s strong third-place showing in Israel’s February 2009 elections for the Knesset was met with dread and disgust from many different quarters. Avigdor Lieberman, the founder and leader of the far-right party and the current Foreign Minister, ran a campaign filled with fascist overtones as he called for “loyalty oaths” to be signed by Palestinian citizens of Israel. 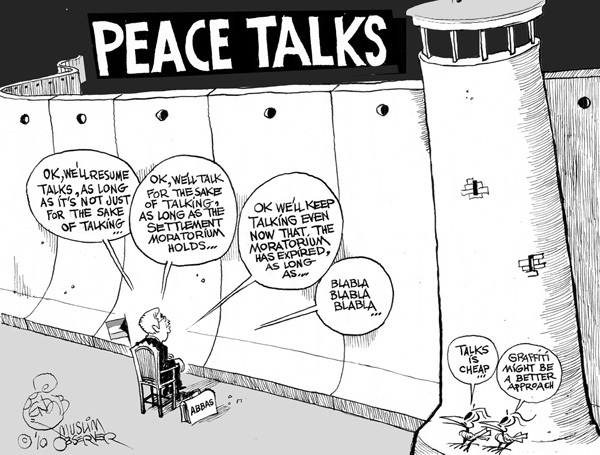 At the UN, Lieberman called for a “long-term intermediate agreement” instead of a solution dealing with all the final-status issues, dismissed the notion that the occupation and colonization of Palestine is at the core of the conflict and proposed a deal with the Palestinians that would be “about moving borders to better reflect demographic realities.” Although Lieberman claimed that he was not talking about “moving populations,” it’s apparent that Lieberman’s plan would result in the expulsion of Palestinian citizens of Israel to a Palestinian state, all in the service of making Israel an “ethnically pure” Jewish state. Netanyahu’s office distanced the prime minister from the speech and said that Lieberman’s speech was “not coordinated” with Netanyahu and that Netanyahu wants “direct talks” with the Palestinian Authority to go forward. The reaction from Netanyahu was about promoting the image of Israel as willing to sit down and negotiate for peace with the Palestinians, which Lieberman’s speech did damage to. But that’s all it was about–Netanyahu and the State of Israel’s policies are completely in line with Lieberman’s plan of ethnically cleansing the non-Jewish citizens of Israel and of continuing to colonize the West Bank. Under Netanyahu, the Bedouin village of Al Araqib has been destroyed multiple times to make way for a Jewish National Fund “ambassador forest.” Netanyahu has presided over the continued colonization of the West Bank, despite talk of a “settlement freeze,” and that’s likely to accelerate in the coming weeks. An recent Israeli Supreme Court ruling has Palestinians in Sheikh Jarrah worried about further dispossession at the hands of Jewish settlers, and Silwan in East Jerusalem is still under the threat of home demolitions to make way for Israeli settlements and a theme park. The list can go on and on. Actions speak much louder than words, and the State of Israel under Netanyahu has continued routine Israeli policies of land theft, colonization and slow ethnic cleansing. That’s not much different than the Israel Lieberman showed at the UN yesterday in words. Maybe that’s a good thing; the true, ugly face of Israeli policy, which the Palestinians know all-too-well, was shown to the world, further confirming that the “peace talks” are useless, and that Netanyahu is playing a public relations game for the international community while the status quo is sustained. Jared Malsin adds the following…. Netanyahu of course immediately distanced himself from Lieberman’s remarks, as if he were not the foreign minister in his government. This raises the question of why Lieberman, who is usually sequestered away from important diplomacy, was sent to speak at the UN in the first place. Tony Karon suggests that the play here was to “make Bibi’s hardline seem reasonable” by comparison. The other remarkable thing about Lieberman’s position on this issue is that ideologically more in common with Tzipi Livni and those in the Israeli political “center” who want to maintain a jewish majority no matter the cost. This further underscores the revelation in Noam Sheizaf’s reporting on Israeli right-wingers who support the one state solution: the important dividing line in Israeli politics may not be between “left” and “right” as defined in the Knesset, but between those who support equal rights for Palestinians and those who don’t, between those who favor partition and those willing to contemplate other scenarios. BGU as an institution is guilty of complicity in the Israeli occupation and apartheid policies; nothing can make any “environmental” or “purely scientific” project it conducts with UJ morally acceptable until it comprehensively and verifiably ends this complicity. The culpability of the entire institution in violations of international law and human rights cannot be washed away by narrowing the focus or diverting attention only to details of the project with UJ. New York Times columnist Nicholas Kristof complained a while back that he was still “waiting for Gandhi” in Palestine. I complained, in turn, that it was hypocritical for Kristof to bewail, and perpetuate the stereotype of, the “violent” Palestinians. Instead he should stay home and call for a new Gandhi here in the U.S., which perpetuates Middle East violence by so consistently supporting Israel, despite its abuses. Latest example: The feeble statement from the State Department that the U.S. is “disappointed” to see the Israelis resume settlement expansion. But if Kristof and others need to travel abroad in search of a new Gandhi, it’s worth asking why they go to Palestine and not to Israel. After all, Palestinian violence against Israel has virtually ceased. It’s the Israelis who now inflict nearly all the violence. Shouldn’t we be looking for the Israeli Gandhi? The search might not take as long as you think. There are plenty of Israeli Jews nonviolently resisting their own government’s policies of occupation and oppression. 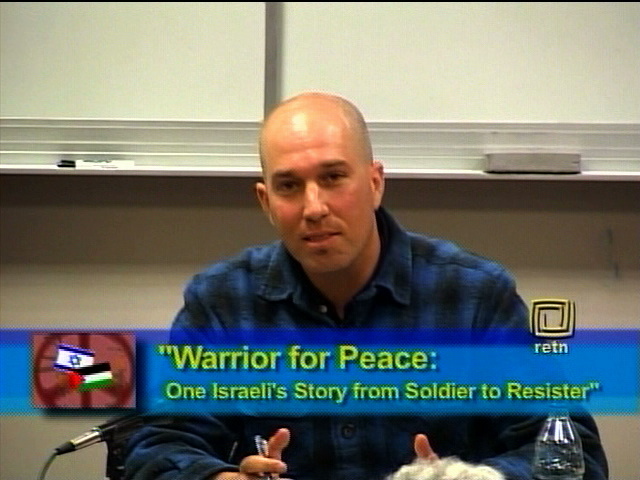 The latest to find the public spotlight is Rami Elhanan, a former Israeli soldier who joined other Jewish activists from Israel and around the world as sailors for peace and justice on a boat called the Irene. They were headed for Gaza — bringing medical equipment, fishing nets, textbooks, toys, prosthetic limbs, and other humanitarian supplies, aiming to break the Israeli blockade that deprives the Gazans of such desperately needed materials — when the Israeli military seized them on the high seas. That comes close to the heart of Gandhian nonviolence. It’s far more than just resisting the impulse to strike out at your enemy. It’s the realization that, as Gandhi put it, “for one who follows the doctrine of ahimsa [nonviolence], there is no room for an enemy; he denies the existence of an enemy.” And it’s the willingness to put your life on the line for the truth that we have no enemies, because we are all equally participants in, and victims of, the same system of violence. That’s another important Gandhian insight: Not only are we connected to our so-called “enemies” as victims; we’re also inescapably linked to those who do violence in our name. We cannot escape responsibility for that violence. We can only choose either to acquiesce or to resist. Then Elhanan learned that he and his wife were not alone. 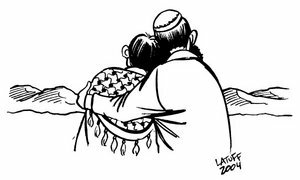 They discovered The Parents Circle – Families Forum, which brings together Israelis and Palestinians who have lost family members to violence from the other side and realized that reconciliation is better than hatred and revenge. Some 800 people from both sides have now joined the group. Rami Elhanan, who serves on PCFF’s board of directors, devotes his life to what he calls the “sacred mission” of spreading its message. “You can not correct one evil or a wrong by creating another evil,” he says. Hundreds of Israeli Jews who have lost loved ones to violence have embraced this message. But Rami Elhanan stands out as an Israeli Gandhi because he has taken the vital step from inspiring talk to an act of resistance that involved a risk of serious injury or even death. As the Irene was leaving its port in Cyprus, the Israeli Defense Force (IDF) chief of staff went out of his way to warn publicly that “we do not dismiss the possibility of casualties” on ships bound for Gaza. Just before the Irene was stopped by the Israelis, Elhanan said: “They’re demanding that we stop and threatening that should we fail to do so there may be injuries. We are continuing at full force.” Elhanan and the other Jews on board the Irene understood the coded message. They knew that the IDF had killed nine activists at sea on a similar mission last May. They knew the risk they were taking by continuing at full force. Yet they went ahead. This time no was killed or seriously injured. 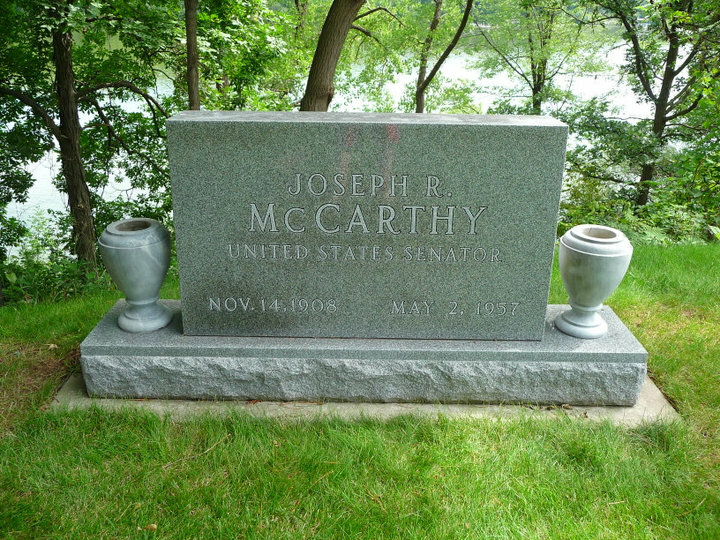 But there was a major casualty: truth, which is always the first casualty in war. The Israeli naval commandos who interdicted the Irene did commit something like an act of war, using excessive force, including tasering — and then an Israeli military spokseman lied, claiming that the incident was totally peaceful. There was no need for the violence, since the activists were totally peaceful. But it’s easy to imagine why the commandos who seized the Irene lashed out at fellow Jews. The Irene’s voyage did what all acts of Gandhian resistance should do: force the oppressors and their hired hands into a situation that makes them face the truth of their own immoral actions, in full public view. Gandhi was sure that this would, eventually, “melt the stoniest heart.” It seems the Israeli military has not yet faced enough nonviolent resistance to melt. But the commandos’ harsh response suggests they may have been so badly confused and embarrassed that they lost control of themselves. Or perhaps the violence was a calculated measure, ordered by the IDF’s upper echelon, to send a signal to the world that the Israelis will strike back at anyone — even their own people — who shines too clear a light on the suffering in Gaza. When the IDF’s chief spokesman dismissed the Irene’s voyage as a stunt “to generate media attention and (stage) a provocation,” he may have been more accurately describing the IDF’s response. There is no reason to think this will deter nonviolent activists in Israel from continuing acts of resistance to the blockade of Gaza — nor to the occupation of the West Bank, where Israeli Jews continue to stand with Palestinians against Israeli violence. Rami Elhanan is hardly unique among his people in his commitment to risk all for the moral truth. Others show the same kind of courage. Their example will surely inspire more and more Israelis to spread the spirit of Gandhi throughout their land, as long as their government continues to block the path to a just peace. Finally, a personal note: Elhanan’s father-in-law was Israeli General Matti Peled — the man who, more than anyone else, inspired me to become a Jewish peace activist when I heard him speak here in Colorado, nearly 35 years ago. I never met the General personally. He had no way of knowing how deeply his words affected me, leading me to a path that has me writing about his own family’s quest for peace and justice all these years later. We can never predict, or even know, the full impact of our words and deeds. Nor, as Gandhi taught, should we judge the value of our words and deeds by the impact that we can see. The test is only whether we follow, pursue, and insist upon moral truth, whether we say and do what is right. Rami Elhanan is among the Israeli Jews who have surely passed that test. *Ira Chernus is Professor of Religious Studies at the University of Colorado at Boulder. Read more of his writing on Israel, Palestine, and American Jews at http://chernus.wordpress.com. 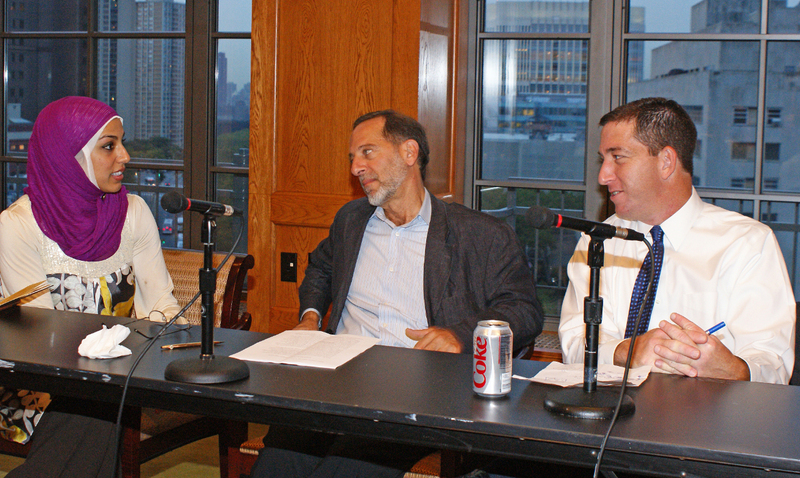 On September 22nd the Brooklyn Law School was the site of a most interesting panel discussion on the subject, Flotilla: Fact, Fiction and the Law. 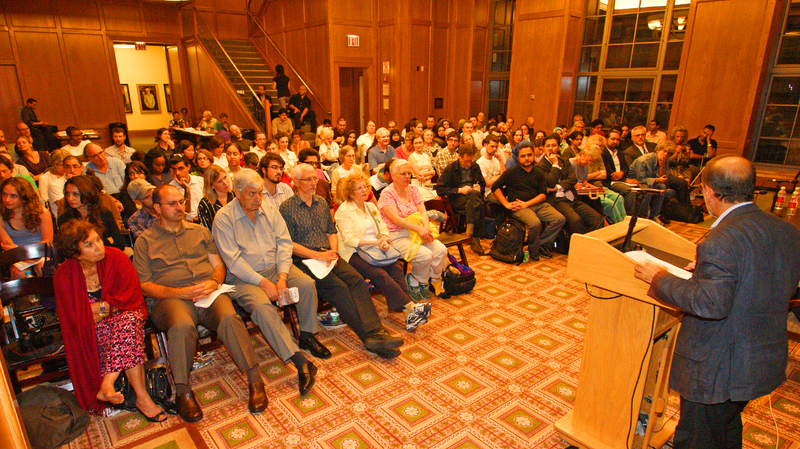 The speakers were Fatima Mohammadi, a lawyer who was part of the flotilla and aboard the Mavi Marmara when Israeli commandos attacked the ship, Glenn Greenwald, a constitutional lawyer, news analyst on Washington Journal (C-Span), Majority Report (Air America), and To The Point (Public Radio International), blogger, and Salon.com columnist, and Rashid Khalidi, the Edward Said Professor of Arab Studies at Columbia University. He was also an advisor to the Palestinian delegation at the Madrid peace conference (1991) and has been a guest on many TV and radio shows. 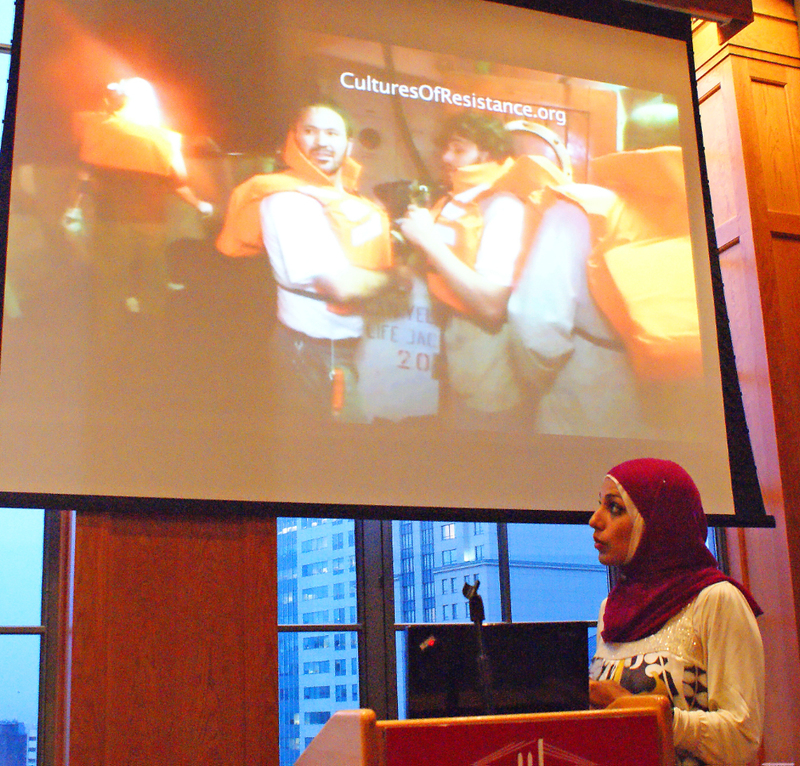 The event was sponsored by: Network of Arab-American Professionals of NY, Muslim Law Students Association at BLS, Islamic Law Students Association at BLS, National Lawyers Guild – BLS Chapter, Adalah-NY, and Brooklyn for Peace. 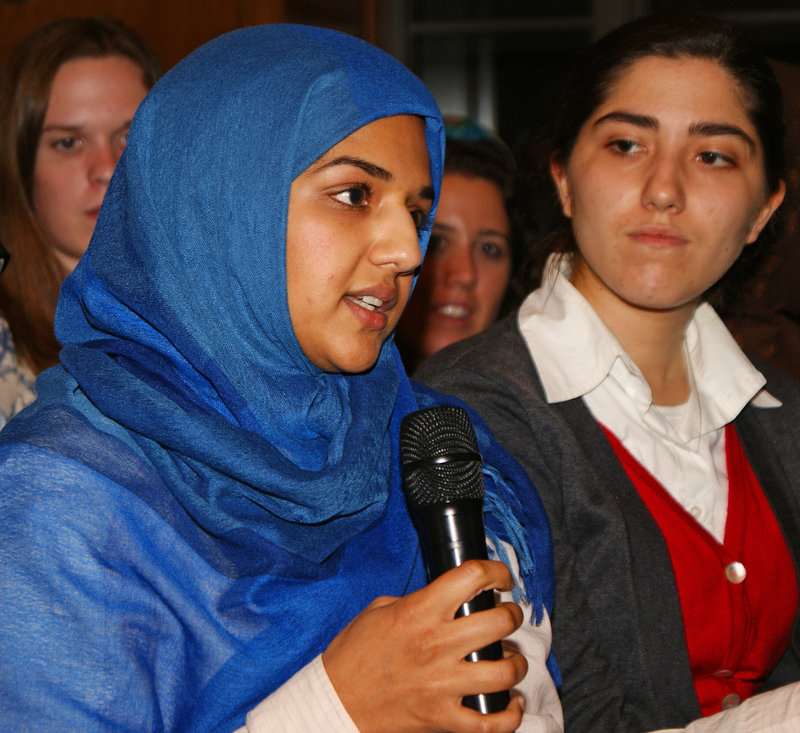 Months after the flotilla to Gaza was attacked there was still great interest in hearing what these speakers had to say. The auditorium at the BLS Subotnik Center was filled to capacity and people had to be turned away. Fatima Mohammadi spoke first. 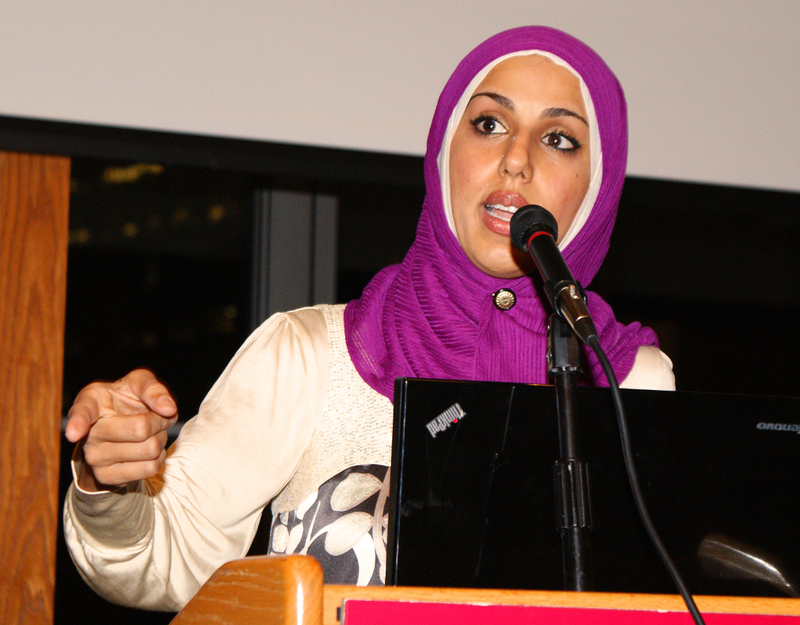 She is an activist who has been in Gaza several times and has witnessed the horrific living conditions there. Mohammadi brought a part of the Cultures of Resistance film that was successfully smuggled off the Mavi Marmara when the IDF was searching and confiscating all the photos and videos from the passengers so that there would be nothing to counter the Israeli line fed to the press after the assault. It was a very good copy of the video and she did a commentary as the video was viewed which was very helpful in understanding exactly what was happening at several points. It showed the arrival of the Zodiac boats in the pre-dawn darkness, blood splattered on the walls before the helicopter arrival (Israel claimed that the IDF only shot passengers as the IDF came down from the helicopters), commandos shooting from the upper deck before the arrival of the helicopters arrived, red laser lights from the weapons targeting people on a lower deck, also before the helicopters arrived, and a book with photographs of some of the passengers on the Mavi Marmara that was confiscated from an Israeli soldier. It is not known if it was meant to be a hit list or a capture alive list. Passengers could be seen throwing onions at the soldiers and using a sling shot against a helicopter. There were many people bleeding from gunshot wounds. That was the only kind of injury, indicating that they had made no direct physical contact with the commandos. Passengers were carrying them below deck where others were desperately trying to save them. The injured were surprisingly calm. Several had been taking photographs at the time they were shot. Mohammadi said that the Israelis gave no medical aid to the injured and dying until hours later when the ship docked in Israel. The air conditioning was turned off on the ship and she could smell the blood of those injured in the next room. She sat with the captain’s one year old son sleeping on her lap. A soldier, face covered by the black hood he was wearing, kept looking at the child. She asked him if he had a son too. His response was to point his weapon at the head of the sleeping child. One passenger onboard, an Australian, who was badly injured was taken to an Israeli hospital for surgery when they docked. He said the doctors there treated him well but the soldier guarding him beat him while he was in the hospital. At one point she stopped the video – there was too much to see (it can be viewed on line: youtube – Israeli Attack on the Mavi Marmara). She said that Israel had circulated lies about the events that night. There were no weapons on the ship. People fought the commandos that attacked them with objects at hand – like tools. The purpose of the flotilla was not to anger or provoke Israel. It was to help the people of Gaza and show them that they are not forgotten. It was also to call the attention of the world to what was happening there. When Mohammadi was there last year she spoke to parents who had to walk around picking up their children’s body parts after Operation Cast Lead. One family lost 29 members leaving only 4 little girls, now orphans, alive. Today people all over the world are raising money to send a ship in the flotilla this fall. In the U.S. fundraising continues. “Do you have any idea of the effect, the symbolism, that will have?”, she asked. It will be a repudiation of the U.S. policy of unlimited aid to Israel. This fall there will be 3 efforts to break the blockade. A convoy going overland through Europe to get aid to Gaza through the Raffah crossing. Then the Viva Palestina convoy which will travel through Europe to Syria where they will take a ferry. Then, finally, another flotilla which the U.S. boat, the Audacity of Hope, flying an American flag, will be part of. The 3 groups will be bringing mostly building supplies and prefab housing so that the homes, schools, hospitals and roads destroyed in Operation Cast Lead can be repaired. 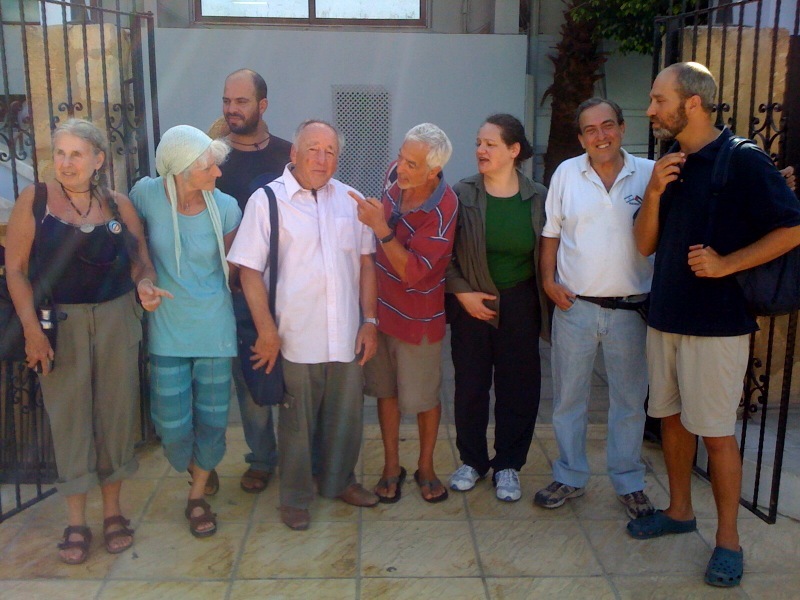 When the people in the last flotilla were released after spending a few days in an Israeli jail they were met by people from their country’s consulates but the Americans were not – no government officials were there for them. She ended by saying that all had a role to play in this struggle. Put your body on the line by going on a convoy or make a financial contribution, support the Boycott, Divestment, Sanctions (BDS) campaign, and spread the truth. Glenn Greenwald spoke next. He said he was going to focus on what it was about this episode that resonated and caused such a strong reaction. The condemnation around the world was more visceral than we’ve seen before. Diplomatic leaders abandoned niceties. It was hard to see a ship with a humanitarian mission be attacked with such brutal aggression. Lives were wiped out in cold blood for no reason. U.S. commentators were struck dumb – they didn’t reflexively defend Israel. In the first few days the pro-Israel propaganda machine was disoriented, stunned by the criticism in the U.S. media but after about 3 days they had their story down: the people on the ship were the true aggressors, they were terrorists. How the Israeli and the U.S. propaganda apparatus responded is a potent illustration for how fiction, or lies, could deceive. It showed how suffocating and false our discourse is and how the pro-Israel propaganda is maintained in the U.S. media. The legal issues were totally distorted. First, the IDF seized all documentary evidence of what took place. Then they arrested all on board the Mavi Marmara and the other ships so Israel could create their own narrative without contradiction. Israel created a video that began in the middle of the event. It looked like the passengers on the ship initiated the aggression, fighting the IDF when they climbed down from the helicopters (which they would have had the right to do since this was an act of piracy on international waters). The manipulated video didn’t start with the actual beginning of the event – the Zodiacs filled with commandos attacking the passengers. A video can be started at any point in an event to make it look like the other party started the aggression. As unsophisticated as this attempt was, U.S. media kept showing the video without questioning it. Greenwald added, imagine if 2 sides are in a dispute and 1 side gets to hold back and manipulate the evidence. You ought not trust what you are being shown but there was no skepticism. Israel refused to release videos made on the ship and because of that the finger of guilt should have been pointed at them. Instead the lies went unchallenged. Once again they were allowed to present themselves as a victim, as always and without deviation. The Turkish government responded to the attack very strongly. The fatalities were Turkish citizens, with one holding U.S./Turkish dual citizenship. One of the main jobs of any government is to advocate for their citizens abroad. The Obama administration didn’t do that. There was no condemnation. Right wing commentators, and then it leaked into the mainstream, implied that somehow the murdered 19 year old with dual citizenship wasn’t a “real” American citizen like the rest of us. After all, he lived in Turkey and might have terrorist leanings. The U.S. government was, therefore, justified in siding with Israel. This view, a noxious notion, showed anti-Muslim bigotry. A core principle of this country is that we don’t have different classes of citizenship. We are all supposedly equal. Defenders of Israel had to invent legal reasons why they attacked the ship. When one of the best armed, most brutal militaries in the world attacks a ship of unarmed civilians in international waters it most certainly is not legal. Israel invented a defense that began with the premise that the Gaza blockade is legal. It isn’t. It is a violation of the Geneva Convention regarding collective punishment. If, according to Israel, the blockade is to be considered legal, Israel could, therefore, claim the right to board ships in international waters to stop them from breaking the blockade. It follows then, they can kill those who resist them boarding. Following this thought process would bring total anarchy. Imagine, for example, Venezuela announcing a blockade of the U.S., then attacking ships and killing the people on board if they were headed towards the U.S. Yet the U.S. – Israeli position is that once a blockade is announced there is no limit to what they can do. The entire world condemned the aggression but, for the most part, the U.S. media didn’t report that condemnation. They presented the story as the U.S. and Israel fighting terrorism on the seas. The U.S. stood in isolation. “Any human being with a beating heart and a conscience” is going to react with horror at the idea of innocent human beings being murdered and must conclude that Israel acted “excessively”. Yet the U.S. congress never gave a thought to Israel crossing a line. There was total bipartisanship. With the U.S. trying to improve it’s image in the Muslim world Israel has become a liability. After the murders on the Mavi Marmara Israel’s Mossad chief, Meir Dagan, stated before the Knesset, “Israel is gradually turning from an asset to the United States to a burden.” He was willing to say what nobody in Congress would. A nation that wants to perpetuate war and aggression must convince itself that it is the victim. The U.S. and Israel are very well armed yet are perpetual victims. This leads to a meaningless concept of victimization. The word “terrorism” is also very malleable and manipulated. It is impossible to discuss what it even means and that can be easily noted in this instance. The Israeli attack was pure terrorism – violence against civilians – an attempt to frighten other people out of attempting the same mission. But the U.S. and Israel define terrorism an anything that defies their will. And their definition excludes whatever they do. Aside from being a war crime the event was extremely instructive. It drew in so many people and we continue to talk about it. For a few days we saw an erosion of the way Israel is thought about. The same was true of the attack on Gaza. What enables Israel to do these things is the U.S., and by changing the way we talk about it in the U.S. we can change the struggle. 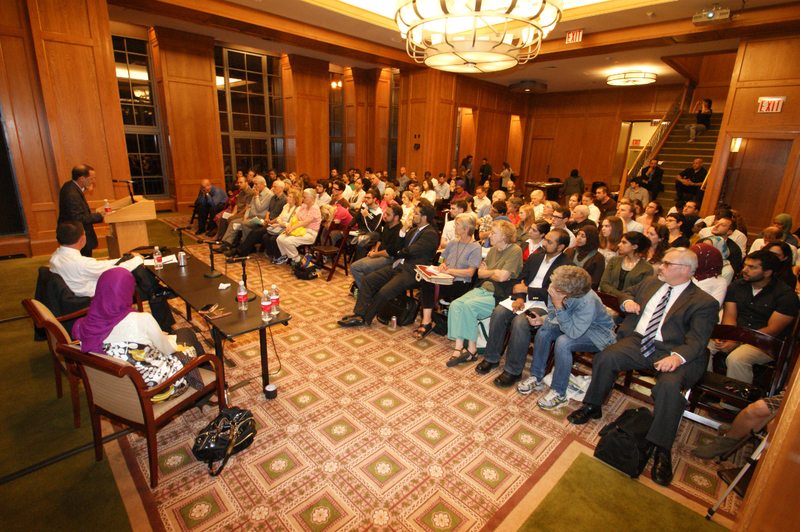 The final speaker was Professor Rashid Khalidi. He said that rather than talk about the flotilla he preferred discussing the “transformations in recent years of the way Palestine is treated in the public sphere.” For 63 years, since the Nakba (catastrophe) when the Palestinians were driven out of Palestine and the “miraculous birth of Israel” only 3 years after the Holocaust we only spoke of 1 side of the issue. For over 50 years any reference to the dispossession of the Palestinian people was seen as scandalous. Most Americans know nothing about Palestinians except what they learned from decades of carefully crafted propaganda, the work of seasoned public relations professionals. Very early in Israel’s history Edward Gottleib, an accomplished public relations expert, hired (for money) a novelist and Zionist, Leon Uris, to go to Israel and write a novel to be used as a propaganda piece for the state. The result was Exodus, later made into a movie with Paul Newman as the hero. This shaped the American image of Israel for decades: a brave little state (David) fighting off the evil, dark Arab hordes (Goliath). Exodus sold as many copies as Gone With The Wind. This was only the beginning. It has continued unabated since then. Zionism, a wildly successful colonial settler movement, still operates in those terms. There has been a systematic hoodwinking of the public by public relations professionals, the same ones that recently sold us the Iraq war. The idea that Palestinians are human beings and entitled to the rights of all people is a very new concept. 25 years ago the Palestinian people were thought not to exist. Although Israelis are still considered to be the victims, certain realities are creeping into people’s minds. Recent occurrences have overshadowed the Israel/Holocaust history. There was a series of events that the news media covered almost in spite of itself. First, the 1982 attack on Lebanon and seizure of Beirut where Israel caused the death of 17,000, almost all civilians. Then the brutal repression of the 1st intifada in 1987. In 2006 there was a 2nd attack on Lebanon when 1,000 civilians were killed. And finally the murderous assault on Gaza in 2008-2009. Israel described it as a “war”. There were 1,400 dead Palestinians, who fought with primitive weapons against the army of Israel, using the most advanced weaponry in the world, which had 13 casualties. Journalists weren’t allowed into Gaza so Israel was free to determine the narrative. These events undermined the concept that Israel was the eternal victim of aggression and that it acts only in self defense. The same was shown in the attack on the flotilla – an act of extraordinary aggression against unarmed civilians bringing humanitarian aid to a people in desperate need because of the Israeli blockade. The sponsors of the forum organized a very informative event. Each speaker spoke on a different aspect of the subject and gave a clear, organized, perceptive, and dynamic talk. All that was said was valuable in increasing the listener’s understanding. The one thing that I would have liked to hear more about is why the U.S. gives Israel total support no matter what heinous things the Zionist state does. It is not just fear of AIPAC and the money it controls. Clearly Israel and the U.S. have mutual interests and the U.S. need for this alliance enables it to further it’s own global interests. Hearing more about that would have added to an already enlightening evening. Reuven Moskowitz, an 82-year-old Holocaust survivor who was also aboard the vessel, backed Shapira’s claim. “We are people who came with a message of peace and we did not anticipate a burst of violence against us, but the officers acted violently. “I can’t sleep at night because of what we are dong to the Arabs in Gaza. This situation is unacceptable, particularly because of our history,” he said. Let Abbas, whose term of office already expired a long time ago, let him resign and retire in dignity. The reaction of the Palestinian Authority (PA) Chairman Mahmoud Abbas to the latest Zionist provocations, including the all-out settlement expansion drive in the West Bank, has been disastrous and calamitous. Abbas has issued a plethora of conflicting statements, some signaling his willingness to remain engaged in the so-called “peace process” with Israel. This is despite the fact that Israel keeps trampling on that damned, whoring process, if only by embarking on more settlement building, and more land theft at the Palestinians’ expense. This is not a minor matter. The occupied territories are the proverbial disputed piece of cheese which Israel keeps devouring around the clock to the extent that most Palestinians are justifiably worried that no territories will be left for establishing a viable and territorially contiguous state that is worthy of the name. Some, including this writer, believe that it is already too late for Palestinian statehood. When Abbas is speaking to a Palestinian audience, he expresses his dissatisfaction with Israel and warns that he may pull out of the American-brokered talks with Israel. It is not very difficult to diagnose Abbas’s duplicity and inconsistency. The PA leader can’t displease Washington for obvious reasons. 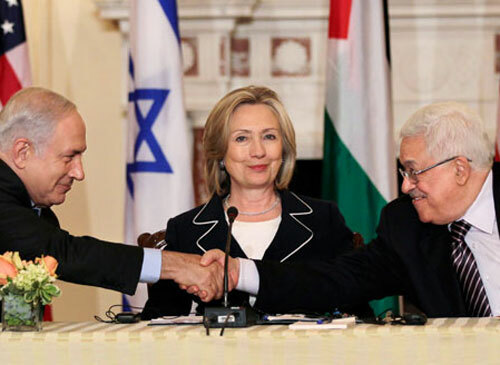 The financial bloodline upon which the deformed Ramallah entity depends comes from Washington. Moreover, Abbas realizes that should Obama or the US congress, both under effective Jewish control, clear their throats, a financial and economic earthquake would instantaneously occur in Ramallah and thousands of civil servants would lose their jobs and their salaries. This is how stupid and bankrupt regimes that allow themselves to be hostage to foreign countries end up because he who pays the piper calls the tune. Abbas often claims that this is not the case with his authority. However, his words in this regard can’t really be believed. In the meantime, Abbas, like other despotic dictators in the Arab world, would very much want to retain a semblance of popular legitimacy. This he does by pretending that he is still faithful to Palestinian national constants when in fact he is striving to destroy them, knowingly or unknowingly, by way of lying to the public and desensitizing the Palestinian masses. In the past few years, many people gave Abbas the benefit of the doubt, citing the immense international pressure which he was subjected to as well as the phenomenal weakness overwhelming the Arab world. However, there are things that can’t be justified under any circumstances, but Abbas doesn’t seem to know the difference. In the not-too-distant past, Arab leaders did give us truly brotherly advice. They would urge us to reject Zionist schemes and resist Zionist aggression. “However, for many years now, the only Arab advice we have been receiving from most Arab capitals is a demoralizing message calling on us to surrender to Israel and cede all or most of our legitimate rights, including the right to freedom and independence. In brief, the Arab regimes want us to “be happy and not worry.” In other words, these regimes are a liability, not an asset in the struggle for the liberation of our countries from shackles of Zionism. I don’t know for sure why Abbas is behaving the way he does. Is he senile? Is he not fully aware of what he is doing? Does he have a blind faith in Barack Obama, the man who shakes at the mere notion of criticizing Israeli insolence and arrogance of power? Ok, cowardice is a natural phenomenon just as courage and wisdom and other attributes, good or bad. However, it is illogical to entrust the enduring Palestinian cause to a man who is unable and unfit to navigate the national boat to the shore of safety. Like the late Palestinian leader Yasser Arafat, Abbas refuses to face reality as it is. He is also becoming increasingly peripatetic, preferring to be far away from the theatre of events. He also prefers very much to listen to himself, and when one confronts him with news or views he doesn’t like to hear, he get nervous asks the speaker to shut up. 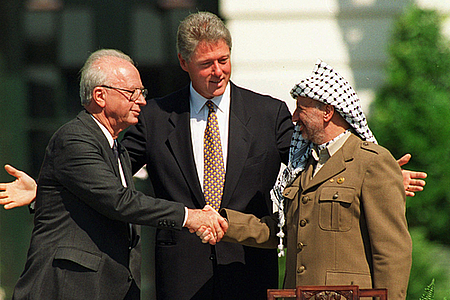 Abbas on many occasions justifiably attacked the governance style of Yasser Arafat. He thought that the second intifada was a disaster for the Palestinians. However, instead of suggesting a wiser approach, Abbas has effectively reached the conclusion that surrendering to Israel is the best alternative, not knowing that Israel is very much like a treacherous crocodile, the more meat you give it, the more it demands. Indeed, the latest gestures Abbas and his aides have been making toward Israel have not only been scandalous from the view point of Palestinian national dignity. They have also been politically disastrous. In the final analysis, displaying weakness and compromising our people’s dignity will not make Israel come to terms with our usurped rights. Today, the Palestinian cause stands at a crossroad as the US seems both unwilling and unable to pressure the Zionist regime to end the occupation that started in 1967. I am not a prophet of doom and gloom. However, it is difficult to believe that the US would be able to force Israel to return to the 1967 borders when it can’t get the Zionist regime to extend a partial and insignificant settlement freeze for a few more months. As to what should the Palestinian leadership do in the face of Zionist insolence and American connivance with it, the matter shouldn’t be too complicated. Let Abbas, whose term of office already expired a long time ago, let him resign and retire in dignity. 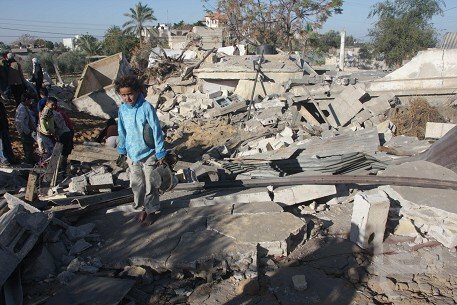 GAZA CITY A Palestinian family from the Nuseirat refugee camp in the central Gaza Strip narrowly escaped death when an Israeli drone fired a missile at the family’s home Monday night, relatives said. The shelling coincided with an airstrike on the nearby Al-Bureij camp killing three militants. Kamal Abu Shamla, an inspector in the Gaza Strip’s Ministry of Education, told Ma’an that his and his brother’s family of 30 escaped death “only by a miracle” after their 3-story home was hit by Israeli missile. Abu Shamla explained that the missile hit an apartment under construction on the third floor, destroying the water tanks on the roof and damaging walls and windows. He wondered why his home was shelled asserting that no one in his family is affiliated to any military groups. Israel’s army has confirmed the attack on Al-Bureij, which it said came in response to projectile fire. “The IDF remains committed to protecting the citizens of Israel and will continue to act against terror. The IDF holds Hamas solely responsible for any terrorist activity emanating from the Gaza Strip,” it added. GIDEON LEVY … ISRAELI DEVIL OR SAINT? In small biographical details, he recovers their humanity from the blankness of an ever-growing death toll. The Wahbas had tried for years to have a child before she finally became pregnant at the age of 36. The grandmother tried to lift little Khaled off the floor: that’s when she realised her son and daughter were dead. Levy uses a simple technique. He asks his fellow Israelis: how would we feel, if this was done to us by a vastly superior military power? Once, in Jenin, his car was stuck behind an ambulance at a checkpoint for an hour. He saw there was a sick woman in the back and asked the driver what was going on, and he was told the ambulances were always made to wait this long. Furious, he asked the Israeli soldiers how they would feel if it was their mother in the ambulance – and they looked bemused at first, then angry, pointing their guns at him and telling him to shut up. But can that be all? Plenty of Israelis go to the territories – not least the occupying troops and settlers – without recoiling. “I think it was also – you see, my parents were refugees. I saw what it had done to them. So I suppose… I saw these people and thought of my parents.” Levy’s father was a German Jewish lawyer from the Sudetenland. At the age of 26 – in 1939, as it was becoming inescapably clear the Nazis were determined to stage a genocide in Europe – he went with his parents to the railway station in Prague, and they waved him goodbye. “He never saw them or heard from them again,” Levy says. “He never found out what happened to them. If he had not left, he would not have lived.” For six months he lived on a boat filled with refugees, being turned away from port after port, until finally they made it to British Mandate Palestine, as it then was. Levy’s father never saw any parallels between the fact he was turned into a refugee, and the 800,000 Palestinians who were turned into refugees by the creation of the state of Israel. “Never! People didn’t think like that. We never discussed it, ever.” Yet in the territories, Levy began to see flickers of his father everywhere – in the broken men and women never able to settle, dreaming forever of going home. Then, slowly, Levy began to realise their tragedy seeped deeper still into his own life – into the ground beneath his feet and the very bricks of the Israeli town where he lives, Sheikh Munis. It is built on the wreckage of “one of the 416 Palestinian villages Israel wiped off the face of the earth in 1948,” he says. “The swimming pool where I swim every morning was the irrigation grove they used to water the village’s groves. My house stands on one of the groves. The land was ‘redeemed’ by force, its 2,230 inhabitants were surrounded and threatened. They fled, never to return. Somewhere, perhaps in a refugee camp in terrible poverty, lives the family of the farmer who plowed the land where my house now stands.” He adds that it is “stupid and wrong” to compare it to the Holocaust, but says that man is a traumatized refugee just as surely as Levy’s father – and even now, if he ended up in the territories, he and his children and grandchildren live under blockade, or violent military occupation. According to the opinion polls, most Israelis support a two-state solution – yet they elect governments that expand the settlements and so make a two-state solution impossible. “You would need a psychiatrist to explain this contradiction,” Levy says. “Do they expect two states to fall from the sky? Today, the Israelis have no reason to make any changes,” he continues. “Life in Israel is wonderful. You can sit in Tel Aviv and have a great life. Nobody talks about the occupation. So why would they bother [to change]? The majority of Israelis think about the next vacation and the next jeep and all the rest doesn’t interest them any more.” They are drenched in history, and yet oblivious to it. The long history of the Jewish people has a recurring beat – every few centuries, a brave Jewish figure stands up to warn his people they are have ended up on an immoral or foolish path that can only end in catastrophe, and implores them to change course. The first prophet, Amos, warned that the Kingdom of Israel would be destroyed because the Jewish people had forgotten the need for justice and generosity – and he was shunned for it. Baruch Spinoza saw beyond the Jewish fundamentalism of his day to a materialist universe that could be explained scientifically – and he was excommunicated, even as he cleared the path for the great Jewish geniuses to come. Could Levy, in time, be seen as a Jewish prophet in the unlikely wilderness of a Jewish state, calling his people back to a moral path? He nods faintly, and smiles. 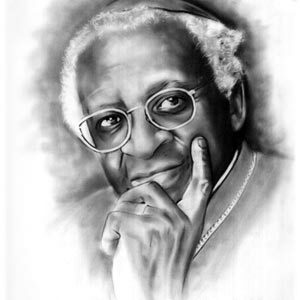 “Noam Chomsky once wrote to me that I was like the early Jewish prophets. It was the greatest compliment anyone has ever paid me. But… well… My opponents would say it’s a long tradition of self-hating Jews. But I don’t take that seriously. For sure, I feel that I belong to a tradition of self-criticism. I deeply believe in self-criticism.” But it leaves him in bewildering situations: “Many times I am standing among Palestinian demonstrators, my back to the Palestinians, my face to the Israeli soldiers, and they were shooting in our direction. They are my people, and they are my army. The people I’m standing among are supposed to be the enemy. It is…” He shakes his head. There must be times, I say, when you ask: what’s a nice Jewish boy doing in a state like this? To borrow the words of Elias Akleh, I am not in the habit or in the business of arguing with my critics. Everybody is entitled to her/his own opinion. Those are my sentiments exactly. However, when arguments are presented in a most civil way as was done in Dr. Akleh’s response to my post, ‘The Demonization of the Jews’, dialog is definitely not out of the question. I was not aware of the response until last evening when the Managing Editor of MWC News sent me a link to the following; Zionism vs Judaism. It took me by surprise as my post refuting his was written a month ago. I presented the view that Dr. Akleh’s opinions were anti-Semitic. His response was I would like, first, to point out to dear Mr. Amsel that my Palestinian Arab roots go back thousands of years ago to the Semitic speaking tribes indigenous to Palestine. Thus I could never be anti-Semite (anti-self) compared to self-hating Jew. Despite the Jewish attempts to monopolize the term people understand that Jews are not the only Semitic-speaking tribe. Many of the Hebrew words are the same Arabic words with a little semantic twist. I can respond as well by pointing out that my Jewish roots go back thousands of years as well, to the bloodline of Aaron, the brother of Moses. My views in no way challenge you as a Palestinian, merely your views on the Jewish people. Dr. Akleh seems to be under the assumption that all Jews, or at least most are observant. Nothing is further from the truth, including those that live in Israel which is officially a secular state despite the number of ultra orthodox parties represented in the Knesset. When he states As for the accusation of being anti-Jewish or anti-Judaic I like to invite Mr. Amsel and all my readers to refer to any internationally acknowledged Bible to verify that all the quotes I mentioned in my articles, criticized above, are authentic literal quotes from the Judaic Torah; Five Books Moses in the Old Testament. According to observant Jews, as Mr. Amsel noted, the Torah was handed down to Moses on Mount Sinai by God. This makes it the most sacred Judaic scripture. Citing quotes from this most sacred Judaic scripture does not make me anti-Jewish; rather it reveals the ugly racist and genocidal realities of this so call divine Torah (god’s gift). I am not challenging the quotes mentioned in his text, but I am asking why he opted to chose only those that can be interpreted as racist and genocidal (which he rightly states). One of the articles that I refuted ends with A blood thirsty genocidal destructive god such as this Judaic god cannot be the real God. He is a pagan god. Indeed he is really Lucifer himself in the soul. Does the good Doctor not realise that the ‘Judaic God’ and the Islamic God are one in the same? His understanding of Islam itself seems as misunderstood as his views on Judaism. As I stated in my original post, Nowhere in Islamic texts is that view given… it is the personal view of the author. He further claims that Jews demonstrating against Zionist Israel can be divided into two main groups; Israeli Jews living in Israel (occupied Palestine), and international Jews living outside of Israel. The few international Jews are motivated by their humanity to demonstrate against the inhumane racist ethnic cleansing policies of the Zionist Israeli government against the Palestinians, the same way they are motivated to defend the human rights of any other group. FEW??? Even the extremist Jews keep a growing list of over 7,000 ‘self-hating Jews’. This site can be found AT. A list, which BTW, I am a proud member of. There are many more than those 7,000 both in Israel and internationally. Many put their lives on the line for the Palestinian Cause. The most recent example are those onboard the ‘Jewish Boat’ heading towards Gaza as I write this. Some of those onboard are observant Jews… and definitely not all zionists. If you go to the side bar of my Blog you will find other Blogs linked as favourites of mine. Among them are many written by Jews, again, definitely not zionists. 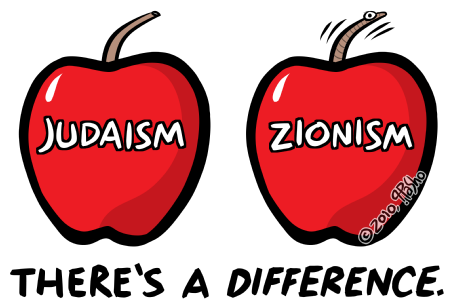 The rebuttal ends with Opposite to the claims of many misinformed and misguided good intentions writers, such as Mr. Amsel and other non-Jewish writers, Zionism is Judaism incarnated in a different name. Again assuming what is wrong, and stating that all who disagree with him are misinformed. Perhaps it is he, the good Doctor that is misinformed. I understand his bitterness, even his justified anger towards the state of Israel. In his own biographical notes it is stated that His family was first evicted from Haifa after the “Nakba” of 1948, then from Beit Jala after the “Nakseh” of 1967. He lives now in the US, and publishes his articles on the web in both English and Arabic. It is my hope that one day, in the very near future, Dr.Akleh and myself can sit in HIS home together in the State of Palestine and muse over a potful of Arabic coffee…. justice will not be served until that State is established, with the Right of Return for ALL that were forced to leave by the zionists. IDF says commandos peacefully intercepted the ‘Irene’, the latest vessel to try to breach an on the Palestinian territory in the wake of Israel’s deadly flotilla raid in May. Israeli naval commandos have peacefully boarded a Jewish aid boat attempting to break a naval blockade on Gaza, the Israel Defense Forces said at 11:30 A.M. Tuesday. “IDF naval forces recently boarded the yacht ‘Irene’, and it is currently being led to the Ashdod seaport along with its passengers,” the military said in statement that branded the boat a “provocation yacht”. IDF chief spokesman Avi Benayahu deplored the fact that “naval forces and fighters are being diverted from our main mission” to “a surreal assignment” of intercepting a boatload of activists. Before boarding, the navy transmitted two warnings to the boat, which refused to turn back and sailed further into the blockade area, the IDF said. 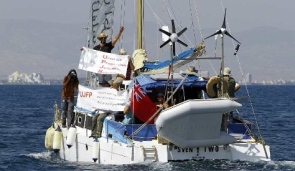 Shortly before, an Israeli warship had hailed the catamaran carrying Jewish activists toward the blockaded Gaza Strip, according to the group’s website. An Israeli destroyer was cutting off the boat’s path and another small boat was also approaching, the ‘Jewish Boat to Gaza’ website posted minutes before reports of the interception. “They came from Farmagusta, the nationalities on board are British, American, German and Israelis, we are going!” the website said. The Irene is the latest vessel to try to breach the 3-year-old embargo on the Palestinian territory in the wake of the deadly Israeli raid on a Turkish-led flotilla in May, which drew international condemnation. Earlier, Capt. Glynn Secker said he expected the navy to intercept the Irene, which is carrying nine Jewish activists from Israel and other countries. Israel had asked the vessel, which Secker said was carrying medicines, therapeutic toys, water purifiers and outboard engines, to dock in an Israeli port. Cargo that receives security clearance would be transported to Gaza. In the end, Secker predicted, the catamaran would be towed to the southern Israeli port of Ashdod, as has happened with other blockade-busting ships. The Israeli foreign ministry has labeled the voyage a politically motivated provocation. Nine pro-Palestinian activists were killed in May when Israeli commandos raided the lead ship in the Turkish-led flotilla. Both sides claimed they acted in self-defense. The international condemnation triggered by the deaths forced Israel to relax its land blockade of Gaza but the naval blockade remains in force. Israel, with Egypt’s cooperation, imposed the blockade after Hamas militants seized control of Gaza in June 2007. The measure was intended to keep out weapons, turn Gazans against their militant Hamas rulers and pressure the group to free a captive Israeli soldier. Those aims were not achieved but the embargo deepened the misery of Gaza’s 1.5 million people. Activists behind the convoy involved in May’s deadly raid have said they will send a new flotilla of at least eight ships to try to break the blockade by the end of this year. The Freedom Flotilla Coalition, an umbrella group of pro-Palestinian activist behind the efforts, said no date has been set. To date the struggle had focused on the eastern part of the neighborhood. Three families have thus far been evicted from the area and 25 more are under threat of eviction. homes as a result of a September 26 court ruling. Judges reject appeal by Palestinians claiming to own a large plot in the western portion of Sheikh Jarrah, enabling settlers to move ahead with plans to build in the area. A Supreme Court ruling Sunday may allow settler groups to move into dozens more homes in the East Jerusalem neighborhood of Sheikh Jarrah. Justices Yoram Danziger, Esther Hayut and Miriam Naor unanimously rejected an appeal by Palestinians claiming to own a large plot in the western portion of the neighborhood. The court ruled that the custodian general, and other owners, including settler representatives, succeeded in proving they owned the property. The decision means the properties’ owners will be able to initiate proceedings for the eviction of dozens of Palestinian families living on the property. Moreover, the settlers will be able to move ahead with plans to build in the area. Aryeh King, one of the leaders of the settlement movement in East Jerusalem said yesterday that in two days three Palestinian families whose leases are ending are expected to be evicted from their homes. The plan is for Jewish families to move in. King also said that he is advancing a project to build dozens of housing units for Jews in the neighborhood. Sheikh Jarrah has been a bone of contention between Jewish groups – who call the neighborhood Shimon Hatzadik after the ancient rabbi they believe is buried there – and Palestinians living there. Tensions have risen over the last year as the court has allowed Jewish groups to reclaim homes they said they were forced to leave after 1948, thereby allowing them to evict Palestinian families in favor of Jewish ones. However a settler group had made preparations to claim plots in the western segment. Following the Six-Day War, the custodian general took over the homes and the properties in the area. Over the years the custodian general restored some of the properties to the legal Jewish owners. Other properties were bought by groups that identify themselves with the settlers – either directly by the custodian general or by the inheritors. Among those owning property in the neighborhood is American businessman Irwin Moskowitz, who is considered an important patron of settlement activity. Yithzak Memo, another right-wing activist involved in settlement in the western portion of the neighborhood, also bought property in the area. King says that right-wing groups own about half the homes in the neighborhood. In 1997 Palestinians sued, arguing that the property on which Jews settled in the 19th century had not been sold to them but leased and that the ownership remained Palestinian. 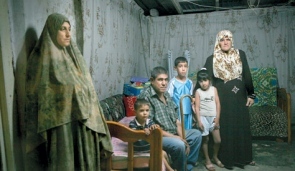 In 2006 the Jerusalem District Court rejected the suit and they appealed to the Supreme Court. Sunday the Supreme Court rejected their appeal and ruled that Jews are the owners of the homes. The ruling, written by Danziger, states that the Palestinians failed to prove the terms of the lease between the original owners and the Jews who lived in the neighborhood. Evidence that payments for the lease were made were rejected by the court as constituting evidence that the Jews did not buy the property. The legal significance of the ruling is that the status of the Palestinians living in the eastern portion of the neighborhood is now the same as that of those living in the western side – subletting Jewish owned property. Sources familiar with the issue say that henceforth it will be easier for settler groups to evict Palestinians from the area. The following was sent to me by my S I S (sister in struggle), Sinead MacLochlainn of the Derry Friends of Palestine.…… it says it all! As many of you already know, I will be travelling on the next Freedom Flotilla to break the siege on Gaza’s seaport. Although I have been to Gaza I have never been on a flotilla to Gaza and after what happened on the last flotilla I have been worried about telling my Mum that I will be part of the next flotilla. When I told her, she of course was very worried, given the aggression and lack of respect for human rights by Israel. The fact that they boarded ships in international water like pirates and murdered 9 people. She said to me “But why do YOU have to go?” After much thought, and with the time nearing, I thought I should give her my 10 reasons for going on the flotilla. Do you remember when I was very young and I asked you why black people in America were not allowed to ride on a bus, or go to school with white people, or to eat alongside white people in a restaurant? You told me this was racism and it was wrong, that we are all created equal in God’s eyes no matter where we come from. You taught me to accept all people and to be blind to colour and race. Do you remember when I saw a disabled man in a wheelchair struggling to get into a shop on his own. There were many people in front of the shop who ignored him as he struggled to get in, but you said we should help him. You told me that I should always offer my help to those who were struggling. And do you remember the first time I saw someone who had been burned in a fire, their face twisted, distorted and frightening. I wanted to run away and hide my eyes. But you told me to look past what I see on the outside, you said it was like wearing a mask, you said a beautiful person was behind that mask and if I looked hard enough I would see this. You taught me to see that being different can be beautiful. This is why I am going. Do you remember when I was only small and it was Christmas time and there was a campaign for poor families who had no gifts for their children. You asked me if I wanted to give them one of my own gifts that you had bought for me. At first I didn’t want to, I was selfish, but you told me that if I did I would get a better gift in return, the gift of compassion. And you were right. Do you remember when I was learning to ride my bike. I kept falling off, over and over again and all the kids were laughing at me. I said I would never be able to do it and wanted to give up. You told me I could do anything if I put my mind to it, you said I should always try until I succeed. You taught me to be persistent. Do you remember when we were walking down the street and I saw a man drop his wallet. I picked it up and you looked at me and said I should return it. I ran up and returned it to the man, he gave me a reward for being honest. You taught me there are rewards for doing the right thing. Do you remember when I was little and I was afraid of the dark? You said “what is it you fear?” I said I feared what I could not see. You told me there was nothing in the dark that was not there in the light. You taught me to overcome my fears. Do you remember when I found our wee cat outside after it was hit by a car? The neighbours said I should just leave it alone that it was going to die anyway. But you said we should try and help her. You told me to have hope, and that miracles can happen . She survived. You taught me to have hope and to believe in miracles. Do you remember when I asked why Irish people were treated so badly in the North, why were they being shot, jailed and beaten. You told me there were soldiers who had stolen our land and were occupying our country and oppressing our people. You said this was wrong. You taught me to always resist injustice. And lastly, do you remember when I read the “Diary of Anne Frank” and I asked you why people would do such a thing to innocent people. You told me that brave people risked their own lives to shelter Anne Frank from the Nazi’s who blamed the Jews for all their woes, you said good people must always do what they can against evil. You said this type of hatred should never happen again, to anyone. So Mum, to answer your question, I am going to help Free Palestine. I am going because of everything you taught me growing up, because you made me the person I am today. Why am I going? I am going because of you…. The above and more can be found at THIS site. As a political activist during the turbulent 60’s I had many personal ‘dealings’ with agents representing the FBI. 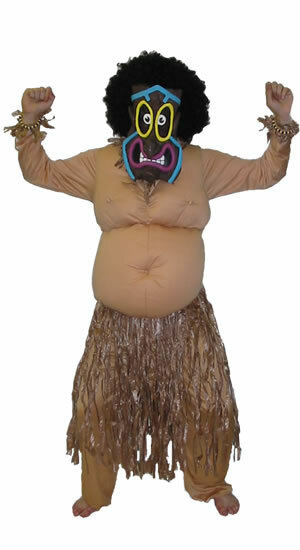 I always referred to them as the Big Kahunas, as their major mission was to intimidate. They used the pretext of their ‘visits’ to get information on fellow activists, which was totally unnecessary as they had an entire network of ‘spies’ in our ranks. It was all about intimidation and fear…. nothing more, nothing less, the very tactics of the Big Kahuna himself. In some cases they were successful as we saw some of the weakest links run and hide with their tails between their legs. For the most part, it was a total waste of time on their part as no information was given to them and our activities continued. Most of us saw these agents as representatives of America’s biggest crime syndicate. The very group that harassed our leadership (MLK), that took part in the murders of our fellow activists working in Mississippi. THEY were the criminals in our eyes, not us. Yes, we stood up to the Big Kahuna then….. and the activists of today are doing the same! The following was written by an activist living in the Chicago area….. I remember this feeling, I thought as I read that on Friday the FBI raided the homes of peace and justice activists in Minneapolis and here in Chicago. It’s the same way I feel whenever the Israeli government decides it’s time to round up Palestinians nonviolent activists. In these situations I always find that I feel a little bit confused, a little bit scared, and very, very powerless. The thing is – that’s exactly what a government trying to squash political opposition wants its citizens to feel. When the FBI raided the home of Joe Iosbaker and Stephanie Weiner, they didn’t make any arrests. They just took 30 boxes of papers and personal items. Some of those papers showed the labor activism and peace activist that Joe and Stephanie have been involved in for so long. The rest of it? Strictly personal items, like baby pictures and letters. That’s a tactic designed to scare Joe and Stephanie and their friends. And why does our government want to intimidate us? “All we ever did was work against U.S. military aid to the governments of Colombia and Israel and to support the peoples of Colombia and Israel in their struggle for justice,” said Joe. We have a choice now. We can become scared and and stop talking about about how the United States and Israel are systematically violating human rights in the name of empire-building, or we keep moving forward with renewed energy. Yesterday, activists held a press conference calling this so-called terrorist investigation what it is: political intimidation. Tomorrow, we’ll be rallying again and I’m asking you to join us. Because speaking out is what it takes to maintain a democracy. For myself, I keep thinking about the hundreds and hundreds of Palestinians who’ve been arrested for their nonviolent resistance: who was tortured for grazing his sheep on his land, Nasser who spent a month in jail for building a house, Hafez who was beaten and arrested for protesting the wall, the guys from Tuba who keep being arrested for doing farm work, the three boys who were taken by Israel soldiers and handed over to settlers who beat them. I’m thinking about all of the political prisoners, including Amer Makhoul, who are in Israeli jails right now. They are why I’m will not be intimated and silenced. I learned from Palestinians the meaning of “samoud,” steadfastness. We’re not going to give up. A number of Jewish settlers, working as security guards, opened fire on Saturday at night at a number of Palestinian homes in Al Sa’diyya neighborhood, in occupied East Jerusalem; no injuries were reported. A local woman was wounded in a separate attack. The Israeli police arrived at the scene and closed the neighborhood preventing the residents from leaving their homes. Furthermore, clashes were reported after a group of Palestinian youths took off to the streets and burnt tires. The Israeli Police claimed that a Molotov cocktail was also hurled at a settlers’ home in East Jerusalem. In related news, a 35-year-old Palestinian woman was wounded while standing on her balcony in Al Esawiyya town in East Jerusalem. The woman was hit in the head by a rubber-coated bullet fired by the army; her condition was described as mild-to-moderate. She was moved to Hadassah Israeli hospital in the city. A Palestinian infant died on Friday after inhaling gas fired by the army in East Jerusalem. The 12-month-old infant was identified as Mohammad Abu Sneina. Minneapolis MN: Monday: 4:30, FBI Office Monday, 111 Washington Ave. S.
Chicago, IL: Monday: 4:30 FBI Building, 2111 W. Roosevelt Rd. Washington DC: Tues 4:30 – 5:30 FBI Building 935 Pennsylvania Ave NW. Buffalo, NY: 4:30 at FBI Building – Corner of So. Elmwood Ave. & Niagara St.
A related video that is a must watch…..
FAMAGUSTA, Cyprus — A boat carrying Jewish activists from Israel, Europe and the United States set sail Sunday from Cyprus bound for Gaza, in a bid to run Israel’s blockade of the Palestinian territory, an AFP reporter said. The boat, named “Irene,” left the port of Famagusta in the Turkish-held north of the divided eastern Mediterranean island in the early afternoon carrying eight activists, three of whom are crew members, and two journalists. Reuven Moskovitz, an 82-year-old passenger who survived the Nazi Holocaust, told AFP he felt duty-bound to attempt the voyage, which is expected to take around 36 hours. “It is a sacred duty for me, as a (Holocaust) survivor, to protest against the persecution, the oppression and the imprisonment of so many people in Gaza, including more than 800,000 children,” Moskovitz said. Yonatan Shapira, a former pilot for the Israel Defense Forces and crew member on the British-flagged sailing boat, said they were not looking for a confrontation. “We have a policy of non-violence and non-confrontation,” he said. “But if the Israeli army stops the boat, we will not help them to take it to Ashdod,” he said, referring to a port in southern Israel where other blockade runners have been taken after being stopped by the navy. Israeli Defence Minister Ehud Barak has repeatedly warned that Israel will intercept any ship nearing Gaza, which is run by the Islamist movement Hamas. In May, Israeli forces tried to stop a six-ship flotilla heading for Gaza but the raid went badly wrong, and nine Turkish activists were killed, prompting a wave of international condemnation. “The boat’s cargo includes symbolic aid in the form of children’s toys and musical instruments, textbooks, fishing nets for Gaza’s fishing communities and prosthetic limbs for orthopaedic medical care in Gaza’s hospitals,” said a statement from the organisers, Jews for Justice for Palestinians. Richard Kuper, a member of the organising group, said that “the Jewish Boat to Gaza is a symbolic act of protest against the Israeli occupation of the Palestinian territories and the siege of Gaza, and a message of solidarity to Palestinians and Israelis who seek peace and justice. “Israeli government policies are not supported by all Jews.” Kuper said in the statement. “We are banging our head on a very hard wall of hatred. Our hope is to make little cracks on that wall, so that in the end it will fall,” said activist Rami Elhanan, who is also on the boat. “Whatever happens, the worst thing has already happened to me, I am not afraid of what is coming next,” said Elhanan, who lost her daughter in a 1997 suicide bombing. Moskovitz, the Holocaust survivor, said he still remained a Zionist. “The state of Israel was a big dream, and it has become reality. We have to make sure it does not become a nightmare,” he said. Last week, a report by the UN Human Rights Council found there was clear evidence to back prosecutions against Israel for killing and torture when its troops stormed the Mavi Marmara, the lead ship in the May flotilla. In a scathing report, it also threw out Israel’s argument that the aid activists were violent, thereby justifying the decision by Israeli soldiers to open fire. Israel says its commandos only resorted to force after they were attacked when they rappelled onto the deck of the Mavi Marmara, but pro-Palestinian activists on board say the soldiers opened fire as soon as they landed. A separate inquiry into the incident has been set up by UN Secretary General Ban Ki-moon, and several more inquiries into the raid are also being pursued by Israel and Turkey. Crew members and passengers are available for interviews…. Eli Osherov, Israesli reporter from Israel Channel 10 News. Supporters: Jewish organizations and individuals from UK, Holland, Germany, US, Switzerland, Denmark, Sweden, Belgium, France, Austria, Australia and Israel. Organizers and sponsors: European Jews for a Just Peace, Jews for Justice for Palestinians (UK), Juedische Stimme fuer einen gerechten Frieden in Nahost (Germany), American Jews for a Just Peace (USA), Jewish Voice for Peace (USA), Jews Against the Occupation Sydney. I never tire of speaking about the very deep distress in my visits to the Holy Land; they remind me so much of what happened to us black people in South Africa. I have seen the humiliation of the Palestinians at checkpoints and roadblocks, suffering like we did when young white police officers prevented us from moving about. My heart aches. I say, “Why are our memories so short?” Have our Jewish sisters and brothers forgotten their own previous humiliation? Have they forgotten the collective punishment, the home demolitions, in their own history so soon? “The temptation in our situation is to speak in muffled tones about an issue such as the right of the people of Palestine to a state of their own. Struggles for freedom and justices are fraught with huge moral dilemmas. How can we commit ourselves to virtue – before its political triumph – when such commitment may lead to ostracism from our political allies and even our closest partners and friends? Are we willing to speak out for justice when the moral choice that we make for an oppressed community may invite phone calls from the powerful or when possible research funding will be withdrawn from us? When we say “Never again!” do we mean “Never again!”, or do we mean “Never again to us!”? Our responses to these questions are an indication of whether we are really interested in human rights and justice or whether our commitment is simply to secure a few deals for ourselves, our communities and our institutions – but in the process walking over our ideals even while we claim we are on our way to achieving them? The issue of a principled commitment to justice lies at the heart of responses to the suffering of the Palestinian people and it is the absence of such a commitment that enables many to turn a blind eye to it. Consider for a moment the numerous honorary doctorates that Nelson Mandela and I have received from universities across the globe. During the years of apartheid many of these same universities denied tenure to faculty who were “too political” because of their commitment to the struggle against apartheid. 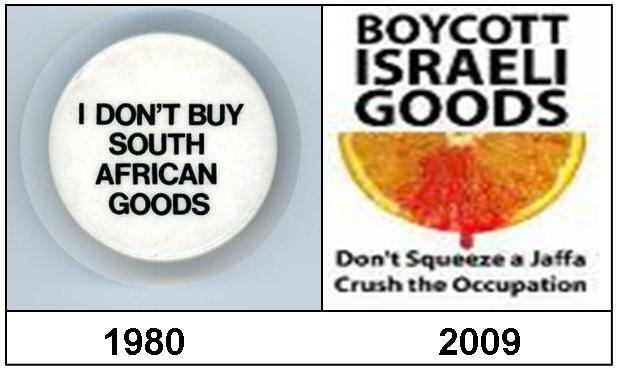 They refused to divest from South Africa because “it will hurt the blacks” (investing in apartheid South Africa was not seen as a political act; divesting was). Let this inconsistency please not be the case with support for the Palestinians in their struggle against occupation. Have they turned their backs on their profound and noble religious traditions? Have they forgotten that God cares deeply about all the downtrodden? South African universities with their own long and complex histories of both support for apartheid and resistance to it should know something about the value of this nonviolent option. The University of Johannesburg has a chance to do the right thing, at a time when it is unsexy. I have time and time again said that we do not want to hurt the Jewish people gratuitously and, despite our deep responsibility to honour the memory of the Holocaust and to ensure it never happens again (to anyone), this must not allow us to turn a blind eye to the suffering of Palestinians today. I support the petition by some of the most prominent South African academics who call on the University of Johannesburg to terminate its agreement with Ben-Gurion University in Israel (BGU). These petitioners note that: “All scholarly work takes place within larger social contexts – particularly in institutions committed to social transformation. South African institutions are under an obligation to revisit relationships forged during the apartheid era with other institutions that turned a blind eye to racial oppression in the name of ‘purely scholarly’ or ‘scientific work’.” It can never be business as usual. Israeli Universities are an intimate part of the Israeli regime, by active choice. While Palestinians are not able to access universities and schools, Israeli universities produce the research, technology, arguments and leaders for maintaining the occupation. BGU is no exception. By maintaining links to both the Israeli defence forces and the arms industry, BGU structurally supports and facilitates the Israeli occupation. For example, BGU offers a fast-tracked programme of training to Israeli Air Force pilots. In the past few years, we have been watching with delight UJ’s transformation from the Rand Afrikaans University, with all its scientific achievements but also ugly ideological commitments. We look forward to an ongoing principled transformation. We don’t want UJ to wait until others’ victories have been achieved before offering honorary doctorates to the Palestinian Mandelas or Tutus in 20 years’ time. Sent by Omar Barghouti who added the following…. This is the genuine voice of wisdom of a uniquely courageous, principled and inspiring moral leader of our times. After an infant from Al Esawiyya in East Jerusalem died due to teargas inhalation on Friday, clashes were reported Saturday evening between dozens of residents and Israeli soldiers leading to dozens of injuries among the residents. The clashes took place in several Palestinian neighborhoods in East Jerusalem while more Israeli soldiers and policemen were deployed in the area. The army attempted to invade Al Esawiyya town but dozens of youths took off to the streets and hurled stones and empty bottles at them. The army fired gas bombs, rubber-coated bullets and rounds of live ammunition leading to several injuries. Clashes were also reported in Silwan town, south of the Al Aqsa Mosque, and in the neighborhoods of Al Tour, Ras Al Amoud, Al Suwwana, and in Shu’fat refugee camp. Meanwhile, the Israeli army claimed that more than three hours after ongoing clashes, a number of Palestinians fired rounds of live into the air while marching in the funeral of the slain child. If confirmed, this would be the first time Palestinians use a weapon during clashes in Jerusalem. The infant who died due to teargas inhalation Friday evening was identified as Mohammad Abu Sneina, 1; he initially suffered breathing difficulties as a result of inhaling gas fired by the army, but all efforts to save his life failed. Discrimination faced by Palestinians living within Israel’s borders remains one of the key sticking points in Middle East peace talks. Umm al-Fahm is a town made up almost entirely of Palestinian Israelis – those who found themselves within the new border when Israel was created in 1948. Israel’s declaration of independence, the equivalent of a constitution, states that all citizens are equal but the one-fifth of the population who are Palestinian, believe they are less equal than others. Al Jazeera’s Dan Nolan reports from Umm al-Fahm, Israel.